May thru October 9 A.M. - 3 P.M. This Week - Opening Day! Join us for the start of our 44th Season! Stacy Porter will sing the national anthem, followed by Mayor Marchione ringing the triangle at 9:00 am to open our season. The Redmond High School Pep Band will kick off the season with a rousing performance! May 4 - Opening Day! Main Stage Music 12:00pm-2:00pm: A Well Known Stranger is a multifaceted band that plays music ranging from folk, bluegrass, celtic, swing, European, gypsy, classical and more! Main Stage Music 12:00pm-2:00pm: Larry Murante – His beautifully woven stories about every day folks are set to song in a joyful, energetic Folk/Rock style. Larry is known for his soaring tenor, strong rhythmic guitar style, and engaging stage presence! June 1 - Happy June! Main Stage Music 12:00pm-2:00pm: Ron Wiley Playing music mostly from the 60s and 70s, Ron's set list also includes several original tunes. All Day - Greyhound Pets Inc. A greyhound adoption event! 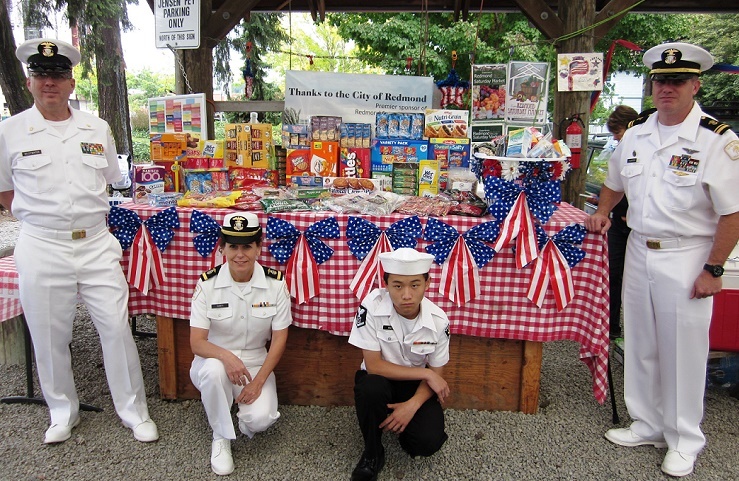 July 6 - Kids Day at the Market! Kids Day Market for Kids 6 to 12 years old only. Must pre-register for a spot. HAWAIIAN DAY – Aloha! 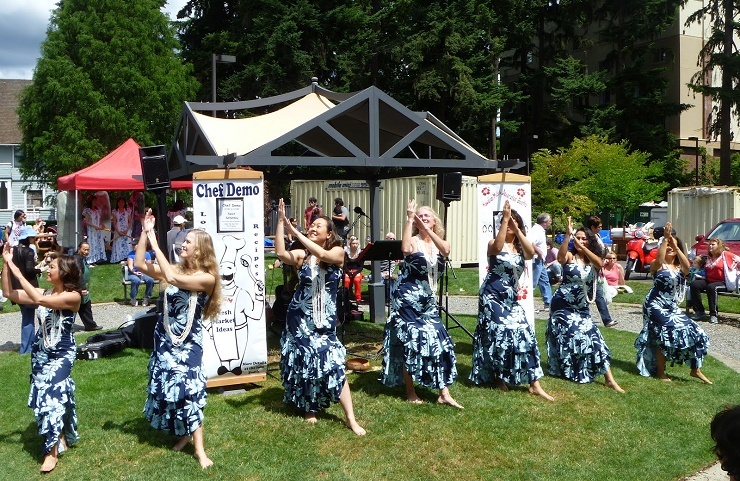 Listen to Hawaiian music from 9:30am to 12:00pm, and watch the Melelani Hula Studio perform traditional Hawaiian Hula from 11:00am-1:00pm with Elias Ka’uhane and his band! All Day - Food Bank Farm grows about 20,000 pounds of fresh produce for Hopelink food banks. Come and see how you can be part of Hopelink Harvest! August 3 - Zucchini Races! Zucchini Races! – Time to get those vegetables rolling! 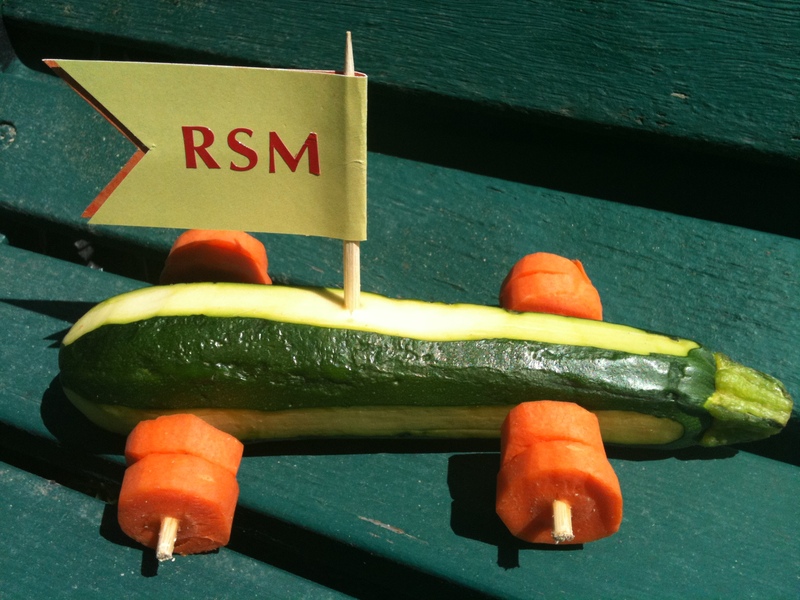 Come build a race car out of vegetables - We provide everything - Everyone's a winner! 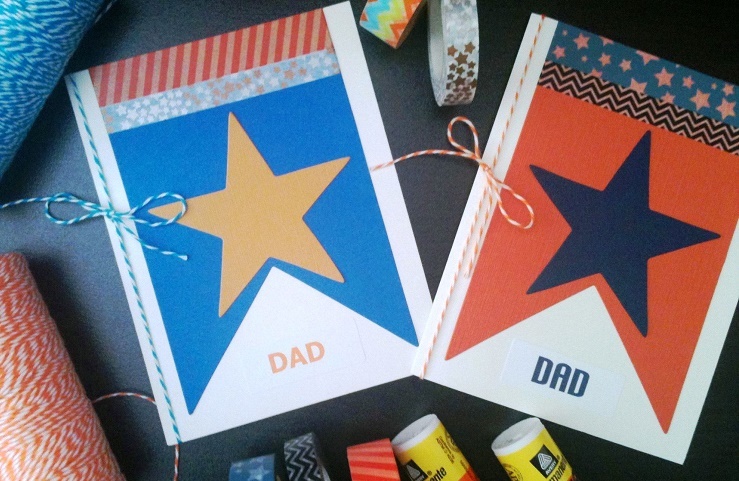 August 10 - Kids Day at the Market! August 17 - Market Favorite - Larry Murante! 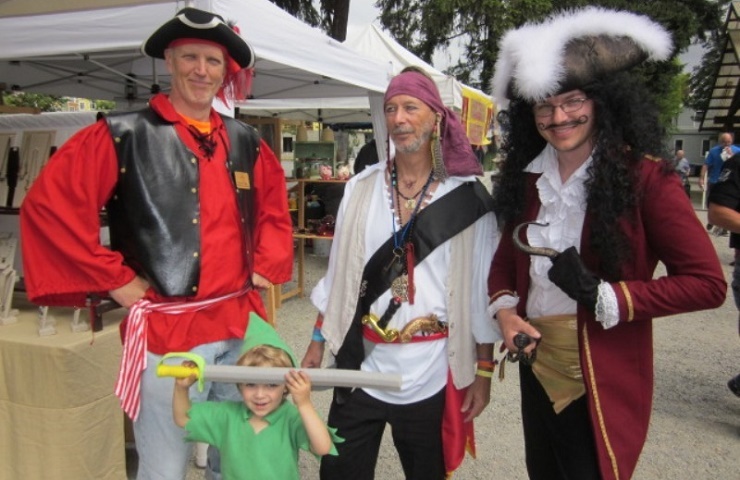 September 7 - Kids Day at the Market! Kids Day Market for Kids 13 to 15 years old only. Must pre-register for a spot. OCTOBER FOOD AND HYGIENE ITEMS DRIVE – Donate nonperishable food, fresh produce, and hygiene items at Redmond Saturday Market for the benefit of Hopelink! All Day - Nourishing Networks build collective ownership for community well-being; Together we are weaving a safety net so tightly woven that no one can fall through! October 12 - Only 3 more weeks of market! All Day - Nourishing Networks- a means to build community through the identification and fulfillment of need gaps in the alleviation of hunger and other basic needs. The Network allows for collective ownership of the problem of hunger and other basic needs: "together we can do more." October 19 - Only 2 more weeks of market! October 26 - Karaoke Time! OCTOBER FOOD AND HYGIENE ITEMS DRIVE – The final Saturday of our month-long food and hygiene items drive for those in need. 11:00 - 3:00 At the Gazebo: Karaoke - Join us for fun & let us hear you sing! Here's the song list - pick out a song and go practice! 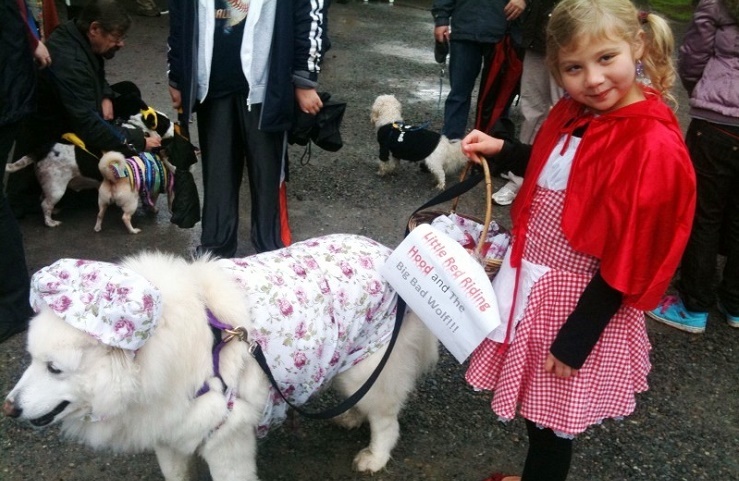 HOWL-O-WEEN PET PARADE 12:00pm – Dress up your pet and join us for a loop around the market. Meet at the Gazebo @ 12 sharp to join the parade! All Day - Nourishing Networks allows for collective ownership of the problem of hunger and other basic needs: "together we can do more."